The common roof staining organisms are moss, lichens, and algae. These organisms are known to feed off the organic roof material in shingles. 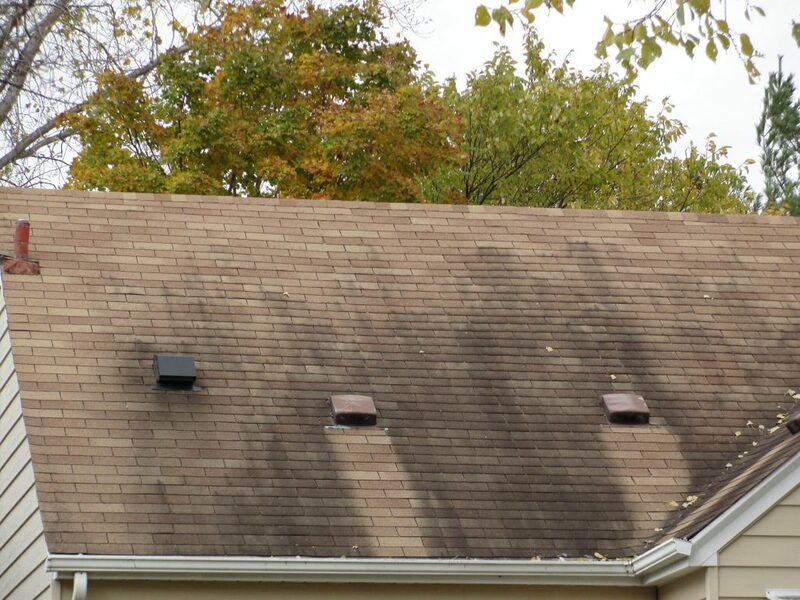 The longer it is left untreated, the worse the damage to roofs. This is why removing stains should be a priority for homeowners. Roof stain is essentially fungus and mildew spores which are embedded in the shingles from nearby shrubbery, trees, and plants. All roofing are vulnerable to stain damage and that is why it is important to know how to remove roof stains and maintain them. Homeowners who would like to make some savings on roof stain removal cost can resort to DIY solutions. But before we start we want to warn you that climbing onto your roof is extremely dangerous and it can cause injuries if you are not careful. This is especially with houses that have large roofs. So, what are you waiting for? Call Beneficial Roofing today for a FREE Roof Estimate. And we will make sure to remove all those roof stains that ruin the image of your home.